Xavier Henry of the Lakers will be out for the rest of the season due to a ruptured Achilles tendon that occurred during practice. The twenty-three year old was a huge asset to the team averaging a large amount of points after only being signed as a training-camp player. Last season it has been noted that Henry’s hard playing style aided the team, but caused plenty of wrist and knee problems that were treated with surgery during the off season. Coach Bryan Scott stated, “He just made a move, like most guys do when they mess up their Achilles. Nobody hit him or anything like that. He went down and pretty much said to us that he heard a pop.” Henry could still be traded despite the injury that is keeping him out for the rest of the season. 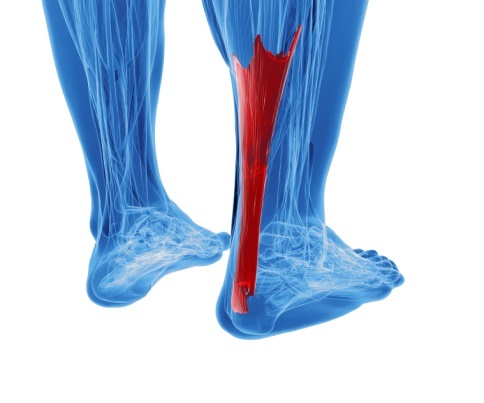 Achilles tendon injuries can be very painful. If you believe you are having problems with this condition, consult with one of our podiatrists of Foot Associates New York. Our doctors can treat your foot and ankle needs. The Achilles tendon is a tendon that connects the lower leg muscles and calf to the heel of the foot. It is the strongest tendon in the human body, and is essential for making movement possible. Because this tendon is such an integral part of the body, any injuries to it can cause severe difficulties and should immediately be presented to a doctor. Achilles tendon injuries are diagnosed by a thorough physical evaluation. Often the doctor will order an MRI to confirm the diagnosis. Treatment will involve rest, physical therapy, and in some cases, surgery. However, various preventative measures can be taken to avoid these injuries. For more information about Achilles Tendon Injuries, follow the link below. If you have any questions, please contact one of our offices located in New York. We offer the newest diagnostic and treatment technologies for all your foot care needs. You can book an appointment quickly and easily by using our online scheduling service. Click 'Book An Appointment' below to contact us today. Site designed by Swarm Interactive, Inc.